hotel and flight ticket booking. 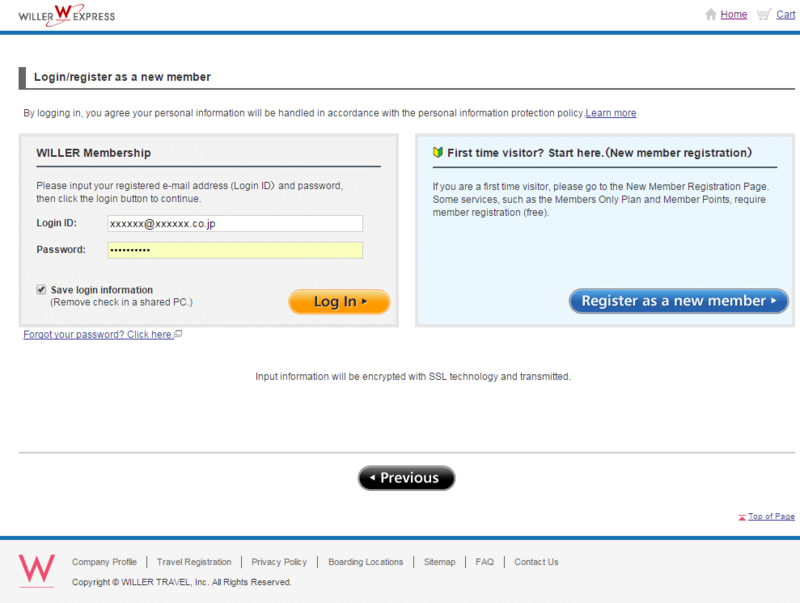 Step 1: Log in to My Page. 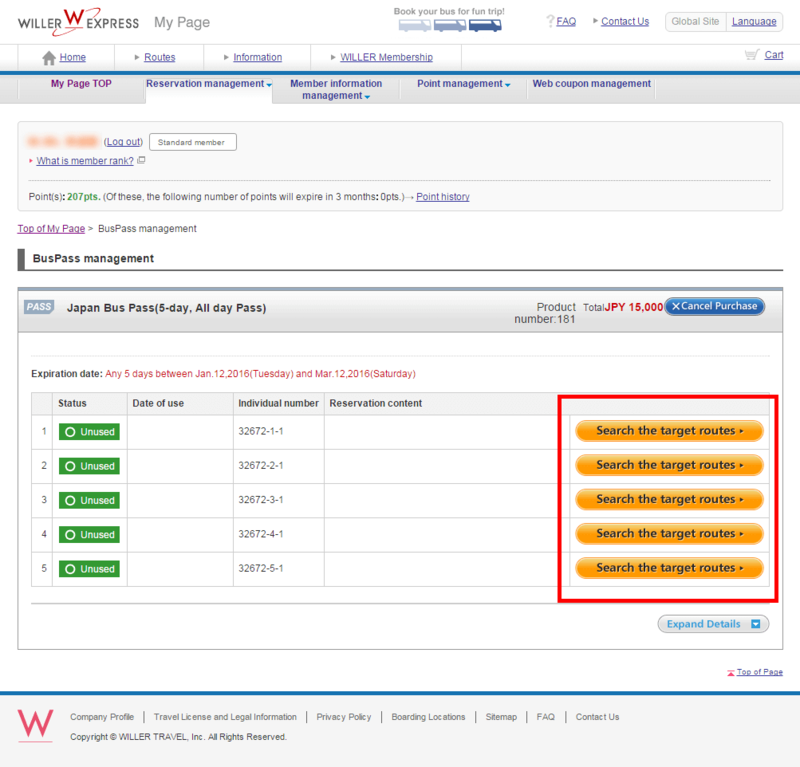 Step 2: Check Bus Pass management page. 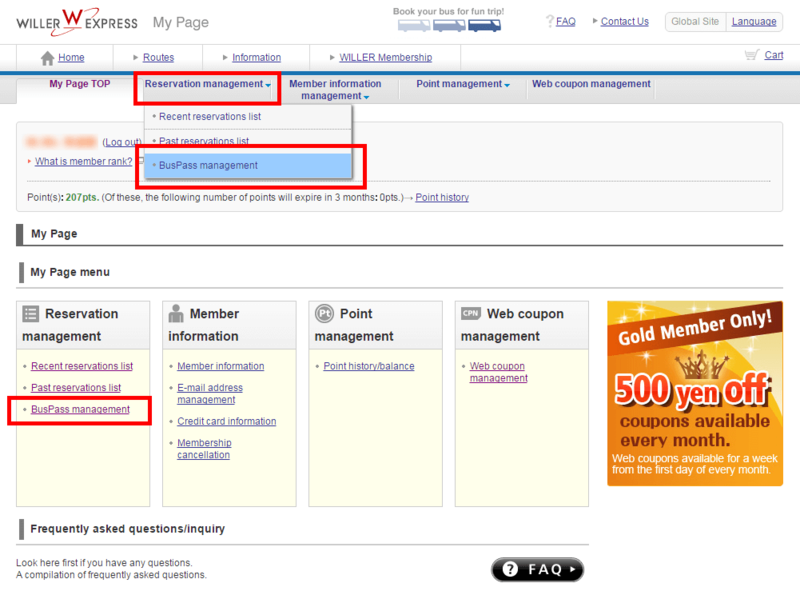 Select Bus Pass management under the Reservation Management menu. Step 3: Choose an available Bus Pass and proceed to booking. 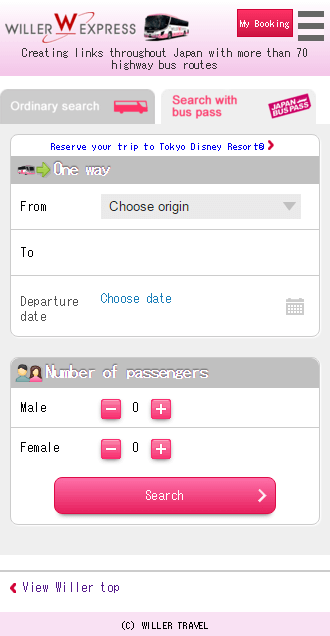 Click on "Search the target routes" and select your desired trip.